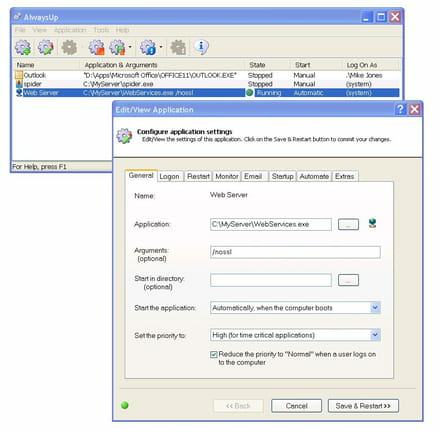 AlwaysUp is a launcher program executable, batch file, shortcut, Java, Perl, etc.. He works as a Windows service, a manager and a controller. It allows you to launch applications automatically each time your system starts and the program will automatically restart your system if it has a malfunction: crash, deadlock, memory full. Your application will be protected by a login system. 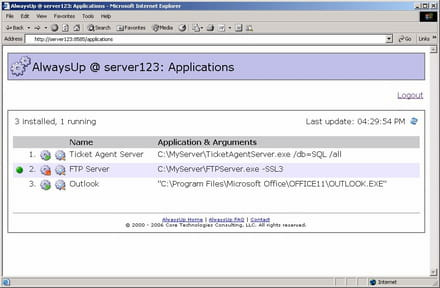 Start and stop your AlwaysUp applications using your web browser. 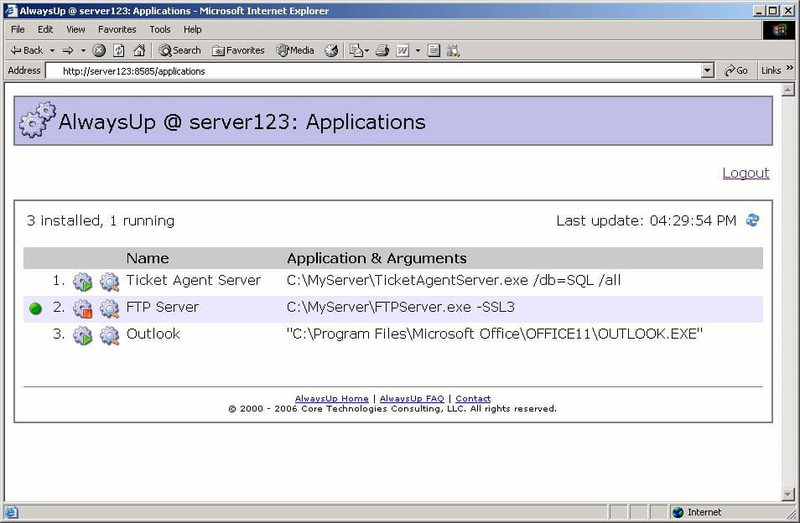 Fully standalone - does not require a separate web server to be installed . Latest update on November 20, 2016 at 07:00 PM.